The Supreme series of sticks from Bauer is all about strength and power. The mid-kick flex profile and the Supreme power taper are attributes that are found throughout the line and are engineered to boost energy output. 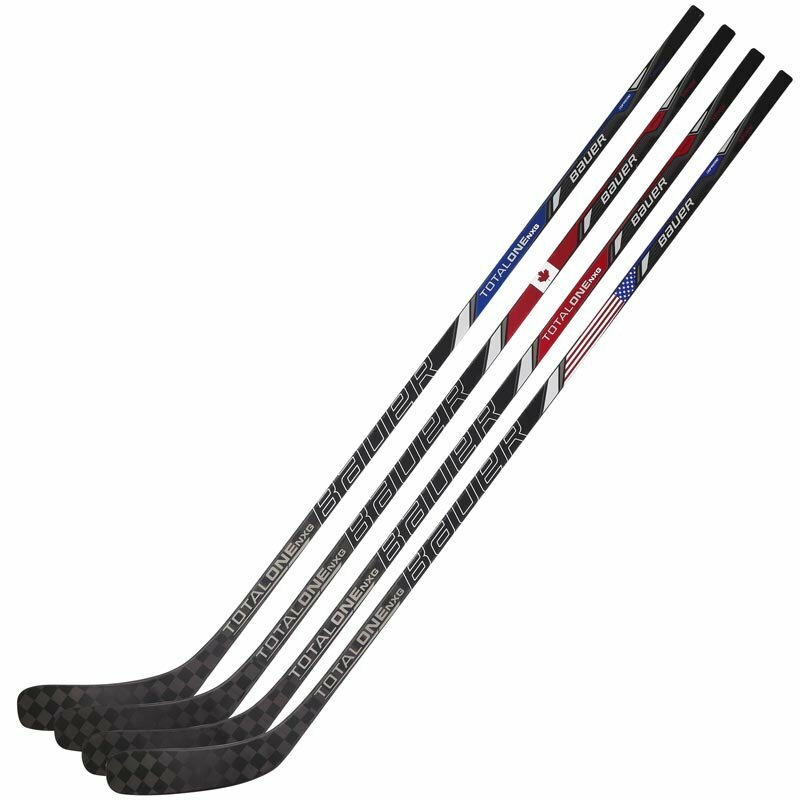 The NXG stick was designed to feel more like the One95 but with performance attributes of the TotalOne. Bauer uses the best stick technologies that they have to offer to create a stick that allows you to fully maximize the power behind your shot. The true one-piece NXG is among the lightest sticks on the market and that's one of the first things that you'll notice when you pick one up. Bauer uses a single molding process, or Monocomp technology, which allows them to remove excess material all while improving balance and performance consistency. Weight is further reduced in the NXG through a lighter resin system and through the use of Bauer's exclusive TeXtreme technology, which is a strong carbon fiber that is 20% lighter than conventional carbon.